Mosaic co-president Jarrid Williams describes the kingdom of heaven as a “big olí bowl of trail mix.” He believes that as the body of Christ we are called to come together to encourage and support each other, no matter our race, gender, or backgrounds. Jarrid uses his own story to illustrate Mosaic’s purpose. A New Orleans native, the senior Social Work major grew up assuming he would become a product of his environment; however, his future changed when he received a call from Coach Patton and committed to playing football at Greenville College. After two years of intentional disengagement on campus, Jarrid joined Mosaic at the urging of former co-presidents Parris Grimmett and Melvin Hubbard. They became his mentors, encouraging Jarrid in his studies and helping him realize that he is accepted and valued on campus. Since then, Jarrid has used Mosaic as a platform to influence other students in the same positive ways that Paris and Melvin influenced him. The organization believes that there is a place, both on this campus and in the kingdom of heaven, for all people. Mosaic hopes to create a safe place for all minorities on campus, and to unite all the diverse members of the student body. Jarrid emphasized that Mosaic is “not just a black student organization.” The name “Mosaic” was chosen because the imagery of a mosaic—a piece of art created from materials of all shapes and colors—mirrors the goals of the organization. 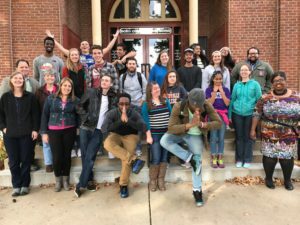 Jarrid and Janisha Pealer, co-president, focus on the idea of “Diversity, Community, and Unity,” which entails acknowledging the diverse backgrounds of our fellow students, being together in one space, and working together as the body of Christ. These principles translate into various events held throughout the school year. 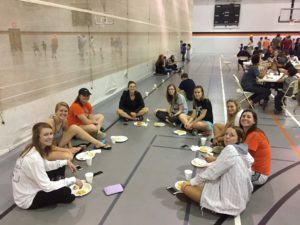 Mosaic kicked off this semester with its fourth annual Grill & Chill on September 9th. The organization hosted over 250 people, including kids from the Simple Room, for an evening of eating together and celebrating diversity. campus about the protests and tension surrounding some Greenville College students’ decision to kneel during the national anthem. In all these conversations, Mosaic aims to provide a safe place to express concerns and opinions, and to suggest actions we can all take to effectively instigate change in our campus and, ultimately, our society. 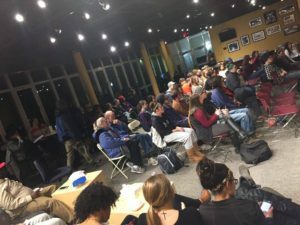 Jarrid hopes that the conversations create “constructive dialogue.” At the very least, the Conversations are designed to raise awareness of these issues and of how they can affect our unity. When asked about the purpose of the Conversations, Janisha said that “a lot of times people have their opinions about a lot of controversial issues, but they don’t really get to hear from the other side… this way people are more informed.” The Community Conversations are not, however, platforms to create tension or provoke arguments; Mosaic emphasizes respect in all aspects of the organization. Aside from their weekly meetings, Mosaic also provides its members with multiple opportunities throughout the year to become leaders in their individual spheres of influence. Each year, they attend the Student Diversity and Leadership Conference at North Park University. Mosaic makes attendance at this conference a priority because the organization desires to empower its members. Many of the students involved in Mosaic come from backgrounds of poverty, violence, and discrimination due to race and gender. The co-presidents of Mosaic, as well as faculty supervisor Pedro Valentin, strive to help their members recognize that their backgrounds can enrich, rather than deter, their future; like Jarrid, anyone on campus can become a leader and world-changer. If cultivating diverse, unified leaders on campus is Mosaic’s first practical goal, then its second is to impart those same principles of diversity, community, and unity to the generation below them. Life After High School forums are some of Mosaic’s favorite events. Last year, Mosaic hosted over 250 kids from South City Prep School here on campus. During this event, members of Mosaic had the opportunity to sit down one-on-one with these kids and simply provide them with positive role models. Jarrid said that he loved the chance to share his story with kids in similar situations and show them that he came from the same circumstances and rose above them. Mosaic hopes to empower the younger generation, to help them recognize that anyone can ìmake itî and allow their backgrounds to instigate change rather than necessitate stagnancy. Jarrid likes to tell people, “The worst thing you can get out of any situation is knowledge.” This is a mantra that he applies to his leadership in Mosaic. As he and Janisha restructure and further develop the organization this year, they aim to foster informed campus leaders and, as Janisha says, “focus on the family aspect of the organization.” Mosaic wants to remind its members that they are united and can be comfortable with each other. Above all, Mosaic hopes to instill in its members knowledge of current events and how they affect unity, as well as confidence in their unique abilities. To all Greenville students, Mosaic stands as an organization dedicated to spreading knowledge of the diversity on our campus and in our country—knowledge that breeds respect, communication, and community. 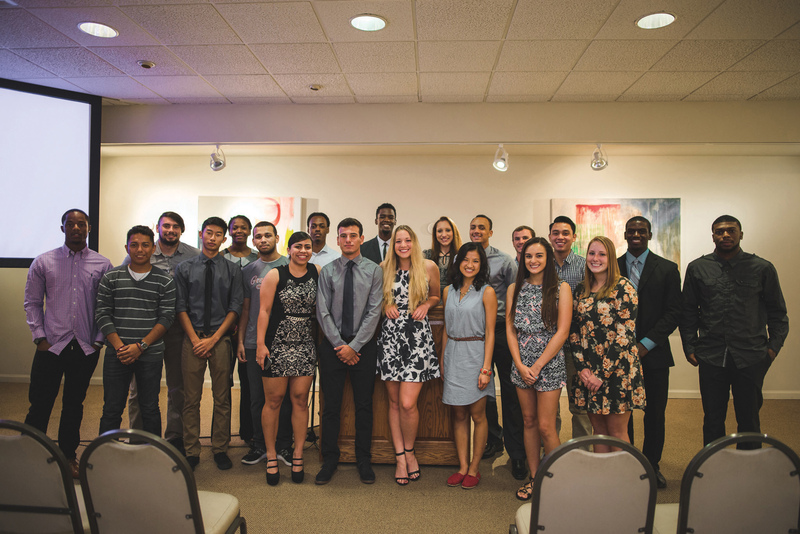 If you are interested in becoming involved with Mosaic, meetings are held every Sunday at 5:00pm in the Krober Room.